Have you ever had a beginning student that was too old for Method Books, but wasn't ready to jump into repertoire books? Have you ever had a student who already played another instrument and needed to move through the piano basics fairly quickly? Have you ever wished you had a set of books to use to "fill in the gaps" for a transfer student? Each book is suitable for use with any age. No art, nothing fussy. Just simple, clear information and beautiful music presented in an organized, logical way. 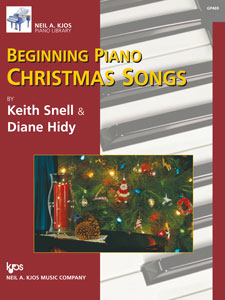 The Beginning Repertoire Book comes with a CD which includes accompaniments played on an acoustic piano by Diane Hidy. We heard time and again from teachers who had grown tired of gimmicky sounding accompaniment CD's and wanted something classier and more musically sophisticated. I would like to think we achieved it. The books may be used together or separately as a supplement to any series. I use this books with transfer students and with adults who are returning to lessons. I've also had success using this with teenage beginners. Lots of basic technical practice exercises. The basics in a format suitable for any age. We made this book for the older piano student who could play simple Christmas music, with beautiful accompaniments, but wanted it in a more sophisticated format. My adults love to use this book, especially when I join them on the duet parts. 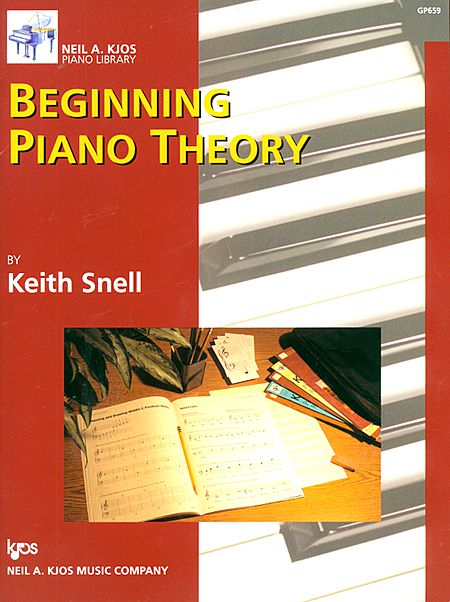 The same simple approach as the Fundamentals of Piano Theory by Keith Snell, in a slightly different format and pacing.